Sneak Peaks: Pan Am Games! Communications & Social Media Co-ordinator. In 2015, Toronto will be host to the Pan American/Parapan American Games, the third largest international multi-sport tournament behind the Olympic Summer Games and the Asian Games. Six thousand athletes from 41 participating countries will compete in 36 sporting events at over 30 venues across 16 municipalities. That’s a wonderfully wide scope, and the General Motors Centre (GM Centre), Oshawa, will be a host venue for a one month period over July and August, 2015. The stadium at the heart of the City will be the competition grounds for the boxing and weightlifting events. This means the next 15 months will be a thrilling time of preparation, and the RMG is excited to be involved in such a momentous event! Be sure to save Friday, 11 July on your calendar! The City will be hosting a one-year countdown event at the GM Centre – children’s activities, boxing and weightlifting activation stations and live musical performances are just a few of the events scheduled for the evening. Join us as we countdown to the festivities! The event kicks off at 5pm. 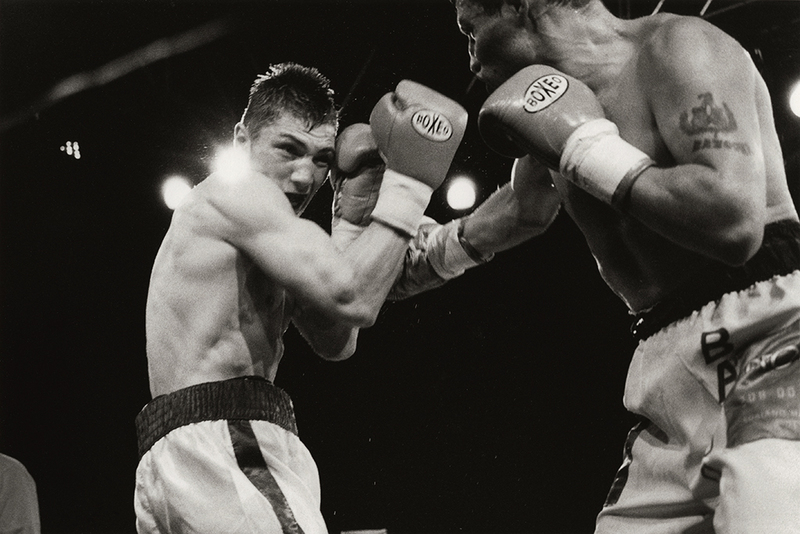 Beginning in May 2015, the RMG presents an exhibition featuring contemporary works focusing on the theme of boxing. What better way to get in the spirit of the games than to see a creative view of athletics? Pete Doherty, Niagara Falls Memorial Arena, Niagara Falls, Ontario, 2003. The next year will be in inspirational time in Oshawa. This is an opportunity to showcase what our City and community is about and we are excited to be a part of it all!